Since 1931, Almay has helped women look and feel their best with good-for-you cosmetics in the most flattering shimmers and shades—all the while staying true to its heritage of using pure, hypoallergenic ingredients. Combining the names of the founders, Alfred and Fanny May, Almay was established in 1931 and began to manufacture their new, gentler cosmetics for women everywhere. 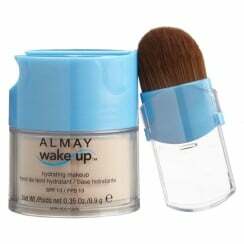 Buy Almay at High Street Brands 4 Less today.